Steve Strongman in Montreal or Quebec City? Inform me about the next events for Steve Strongman. Enroll yourself to our priority waiting list for Steve Strongman to be alerted when new tickets are available. Filling this form doesn't engage you to any purchase. 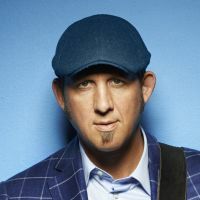 Steve Strongman is a blues, jazz artist that started his career in the early 1990s. He was on stage with many artists like Jeff Healey, Tal Bachman, Roy Clark, etc. He's co-founder, with Rob Szabo, of the band Plasticine. They recorded two albums together but they disbanded quickly after that. In 2015, he released another album titled, Let Me Prove It Too You and will be performing it at La Basoche in Gatineau in May 2016.